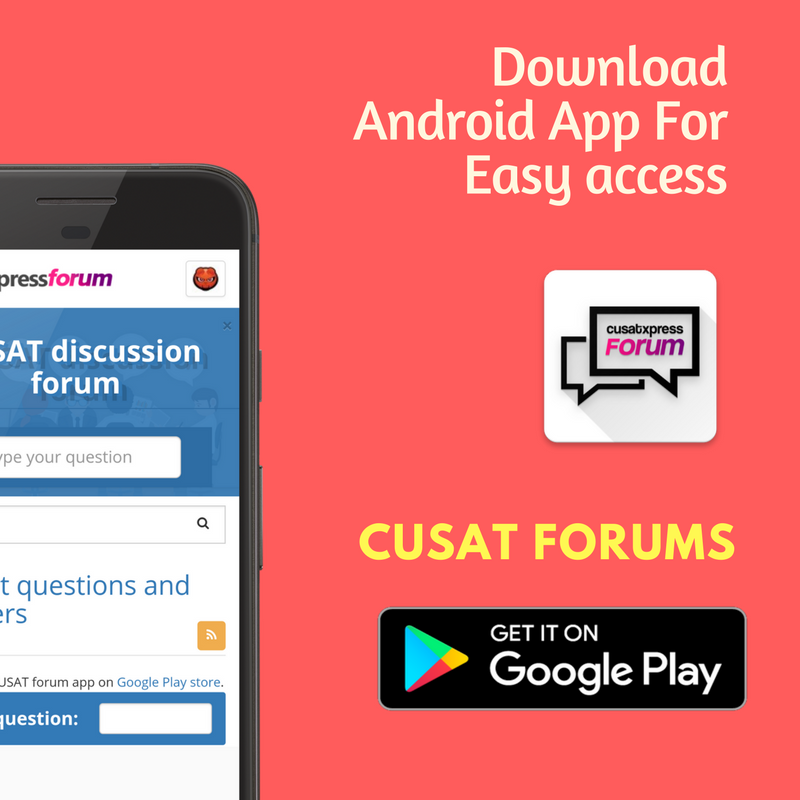 Event Over : We have a live Q&A Session for CUSAT CAT questions ! Is there special supplimentary exam in february for btech semester4?? "if u don't clear 1st year papers you cant enter 3rd year" is this nformation acorrect one? Is there a chance to loan again even if you have a bad credit personal loans? a 24yr old is not supposed to have engineering dreams? my chances of graduating from (joined 2013-2017)cusat uni if am aged 24? 24,once a dropout,joind ec cusat in sf.what are my chances of making it as degree holder in 4years? if I miss 1st week of class is it a problem? wat are the features of this iist? wat will happen to cucek,if cusat becomes an iist?